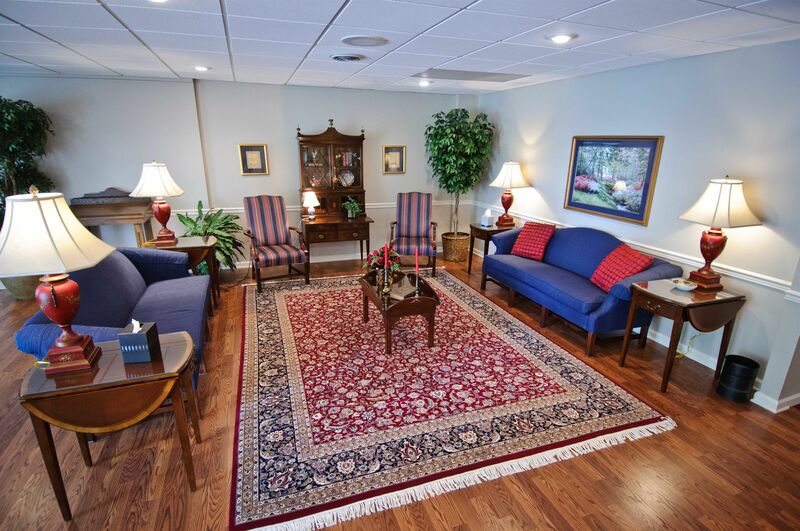 Many years ago, North Funeral Home was founded in Elizabethton by H.S. North. In 1943, the late Donald W. Tetrick purchased the North firm upon moving to Elizabethton from Joplin, Missouri. Don Tetrick and his father, the late Glen W. "Pappy" Tetrick, operated Tetrick Funeral Home together until Pappy Tetrick retired in 1960. In 1963, the Riverside Chapel was added to the former residence from which Tetrick Funeral Home operated. This structure was one of the first formal church-type chapels to be added by any funeral home in this region. In 1968, Richard Tetrick graduated from the Dallas Institute of Mortuary Science and joined his father, Don, in the operation of Tetrick Funeral Home. In 1974, Don and Richard opened Tetrick's Rhododendron Chapel in Roan Mountain, Tennessee. Don Tetrick retired in 1981 and sold his interest in the business to Richard. Don enjoyed an active retirement and played a part in Tetrick Funeral Home up until his passing on August 26th, 2012. Don was referred to as "Daddy Don" by family, but also from those employees whose lives he touched in meaningful ways. He was active in his church, First United Methodist Church, where he taught Sunday school. Also, Don was very active in his community by participating in Jaycees, Kiwanis, and many community civic boards. He will be greatly missed by his immediate family, but also the Tetrick Funeral Home family, and the entire Elizabethton and Johnson City communities. 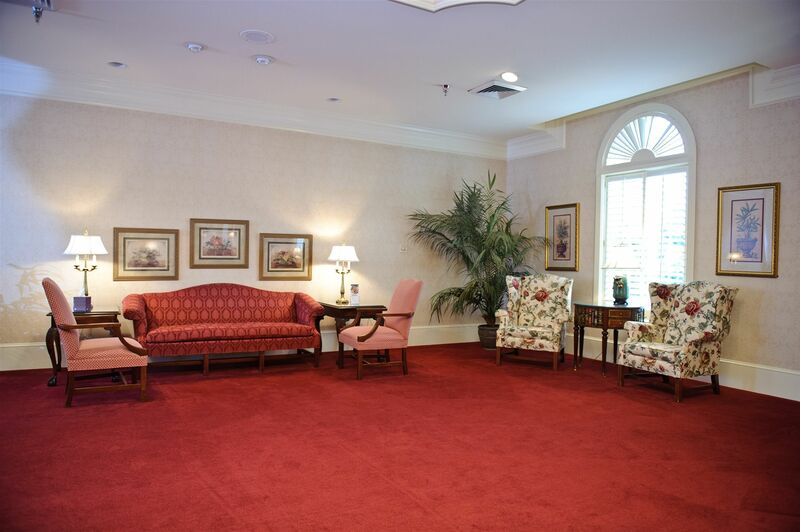 In 1984, Tetrick Funeral Home was extensively renovated and expanded, with the removal of the original structure that had housed the operation for many years. 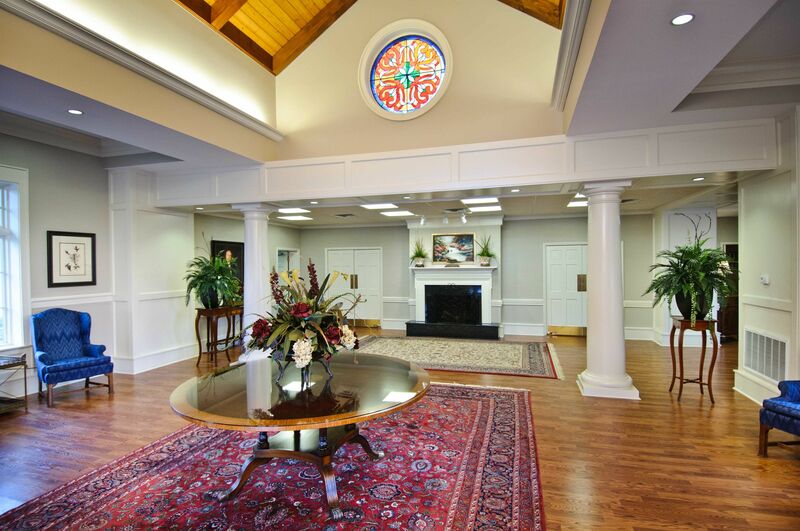 In 2001, the Chapel of Peace was added and the entire building was completely remodeled. In addition to its original Riverside Chapel and the Chapel of Peace, the building now features two drawing room chapels. 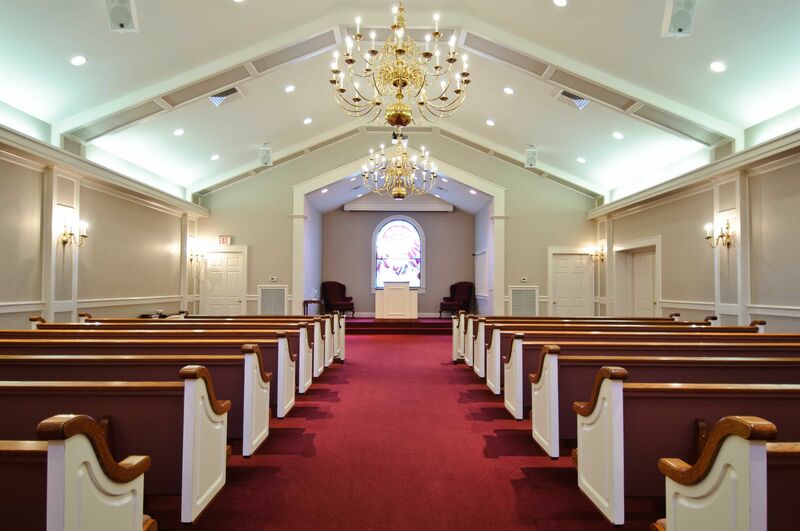 With the increase in the number of night time funerals, four services can now be conducted in the building at one time In 2011, the lobby was renovated and a portico was added to the front of the building to help families in the event of inclimate weather. Richard Tetrick is the third generation of his family to be a funeral director. He started working in his family business at the age of 16. He is an active member of First United Methodist Church of Elizabethton and the Elizabethton Rotary Club. He serves as a board member and secretary of Citizens Bank of the Tri-Cities. Richard has been a member and chairman of the Tennessee Board of Funeral Directors and Embalmers and is a former director and secretary-treasurer of Selected Independent Funeral Homes. Richard has been married to Norma Greene Tetrick since 1972. They have one son, Tyler, who is active in the family business and is a funeral director. Derek Cornett, a licensed funeral director and embalmer, is a native of Elizabethton and a 1993 graduate of Elizabethton High School. In 1995 he received an A.A.S. Degree in Business Management from Northeast State Technical Community College. In 1996 he received a B.S. Degree in Mortuary Science from Cincinnati College of Mortuary Science and began working at Tetrick Funeral Home. David Blackburn, a licensed funeral director and embalmer, is a native of Damascus, Virginia. He is a 1990 graduate of Gupton-Jones Mortuary College and married to the former Traci Ellis. They are members of Poplar Grove Baptist Church where they are very active, and David serves as trustee. He and Traci also help with the youth and children’s church. David and Traci enjoy sports and spending time with each other and with family. David is an avid outdoorsmen and turkey hunter. Lori Willett is a native of San Diego, CA, who now happily resides in Johnson City, TN. Lori attended the American Academy McAllister Institute of Funeral Service and is a licensed funeral director and embalmer. She is a proud mother of two boys, Michael and Julien. Lori enjoys a wide variety of outdoor activities including mountain biking, hiking, boating, horse back riding, scuba diving and is a level 2 certified diver. Lori is grateful for the opportunity to serve the community of the Tri-Cities area by being a part of the Tetrick Funeral Home team. A native of West Virginia, Eden grew up in Johnson City, TN and graduated from Science Hill High School. After moving to Pennsylvania, she attended Northampton Community College where she graduated with an AS degree in Funeral and Mortuary Sciences in 2016. Eden moved back to Johnson City after graduation to begin her apprenticeship with Tetrick Funeral & Cremation Services. She has been a licensed funeral director and embalmer since 2017. Eden enjoys watching movies and sports, playing with her dog, King, and traveling with her husband, Joseph Cumm. Shane Younce is a native of Elizabethton, Tennessee, and attended American Academy McAllister Institute. He is a licensed Funeral Director and Embalmer and proud father of two young girls, Karaline and Allison. His passion is raising his family and serving his community. Jason is a native of Barbourville, Kentucky. He moved to Johnson City, Tennessee to join the Tetrick Funeral Service family. Jason started working in funeral service in 2009. He graduated from the Commonwealth Institute of Funeral Service in Houston, Texas where he was inducted into The National Funeral Service Honor Society, which focuses to promote academic excellence among mortuary school students. Jason is a board certified Funeral Director & Embalmer in both Tennessee and Kentucky. He is also a member of the National Funeral Directors Association and the Funeral Directors Association of Kentucky. In his free time, Jason enjoys spending time with his family and friends and travelling. Margaret is a native and lifelong resident of Avery County, NC. She holds Funeral Director and Embalmer licenses in NC, and TN with crematory certified. Margaret is married to Mark Lusk and they have two sons, Luke and John, a graduate of Avery County High and holds a Mortuary Science degree from Fayetteville, NC. Her belief is in helping one another. She attends many churches, enjoys helping the elderly, volunteering at the nursing homes, and spending time with family. Robbie grew up in Jonesborough, Tennessee. He graduated from Daniel Boone High School in 2013 and from John A. Gupton College in Nashville in 2017. He enjoys spending time with his family and friends and watching sports. Robbie has been in the funeral business since 2015 and immediately knew he wanted to be a Funeral Director. Robbie’s main desire is to be a comfort to families in their time of need. Becky grew up in the Poga Community of Carter County, Tennessee. She is a 1988 graduate of Hampton High School and a 2010 graduate of Tennessee Technology Center of Elizabethton, with an associate degree in Administration and Medical Coding. Becky is engaged to Dennis Guy, also of the Poga Community and has two daughters, Annie Guy and her husband, Jordan Guy, who welcomed their first son, Grayson Lynn Guy, on May 1, 2018; and Sarah Potter and fiance, Perry Ashley and their daughter, Taryn Elise Ashley. Becky attends Stone Mountain Baptist Church in the Poga Community. Becky joined the Tetrick Funeral Home family in August of 2012. When not at work, Becky enjoys long walks with Dennis and their dog, Moe, going to flea markets, taking photos and spending every chance she can with her children and grandchildren. Shirley Cooper Sutphin is a native of Johnson City. She joined the staff of Tetrick Funeral and Cremation Services as an Administrative Assistant in 2012. She graduated from Daniel Boone High School. She is the daughter of Edna Cooper and the late Rev. Roy Cooper. She is the widow of Raymond E. Sutphin and has one daughter (Robin) who is also deceased. She attends By Faith Free Will Baptist Church where she is the church pianist, Director of the Veterans Program, Teacher for VBS and Church Clerk. She is also on the Client Advisory Board for Fidelus Advisors. She enjoys singing, playing the piano, yard sales, traveling and most of all spending time with her family, and friends. Shirley's desire is to help someone during their time of grief. Kelly is a native of Bluff City. She joined the staff of Tetrick Funeral Home- Bluff City Chapel in May 2015 as Administrative Assistant. She is married to David Pierson and they have two daughters, Ashtin and Hayden. Before joining Tetrick Funeral Home she was the Office Manager for Carolina Pottery till it’s closing in 2008, after its closing she was able to enjoy being a stay at home mom till her youngest daughter started school. Kelly and her family attend Chinquapin Grove Baptist Church. David has worked in the area of preplanning for Heritage Family Funeral Services since 2001. David is a licensed Funeral Director in Tennessee. David was a pastor for 30 years. David is a graduate of Tennessee Wesleyan College and Vanderbilt Divinity School. David and his wife, Terry, have five children, twenty grandchildren, and two dogs. David is a member of Living Word Lutheran Church. Also, he enjoys reading and sports. Vickie is a native of Elizabethton. She graduated from Happy Valley High School and attended Northeast State and ETSU. Before joining the staff at Tetrick, Vickie was Operations Manager at Sprint Yellow Pages for 17 years. She and her husband, Pete, have two Pekingese dogs, Bailey and Baxter, who are the joy of their lives. Vickie's mother, Louise Trusler, also resides with them. Vickie is a member of Roan Street Church of God in Elizabethton. Laura is a Johnson City native. She graduated from University High School and attended ETSU where she was an active member of Alpha Omicorn Pi sorority. Laura is the mother of two sons, A.R. and Chip Rhea, and grandmother to Caroline, Jack, Annie, and Emma Rhea. Laura and her husband John W. Graham reside in Johnson City and they are actively involved in Crossroads Christian Church in Gray, TN. Gary Kemp is a native of Johnson City, Tennessee and now resides in Carter County. He graduated from Sullivan East High School. Gary and his wife, the former Jill Wilson, have two sons, Kevin and Kurt. They also have two grandchildren, Baylee and Kole, whom they love to spoil. They are members of Blue Springs Christian Church, where Jill serves as pianist and Gary as a Deacon. They also enjoy working with the youth group. Roy is a native of Washington County. He is a graduate of Daniel Boone High School and is employed as a mechanic at East Tennessee Rental. Roy has been a funeral assistant with Tetrick Funeral and Cremation Services since 2011. He and his wife, Darlene Garst Francis, reside in Jonesborough and are members of Fairview United Methodist Church. Roy enjoys working, fishing, and being outdoors. Mark Church is a native of North Tonawanda, NY, but has lived in Carter County for forty-nine years. He is a graduate of Unaka High School and is also employed at All Pro Exterminator. Mark and his wife, the former Sandra Jean Sims, have three children, Miranda, Nikki and Josh. They are active members of Blue Springs Christian Church. Jo Ann is a native of Carter County. She retired from Citizens Bank in Elizabethton where she worked for 14 years. She has two daughters. Susan Whitehead and Amy Jones, and a grandson, Hunter Jones. Jo Ann is an active member of Lynn Valley Baptist Church. She enjoys her flower gardens wood burning crafts, and spending time with family. Born and raised in Jonesborough, Rich grew up working on the family farm, where he was in charge of all the livestock for over thirty years. Following his life on the farm, he ventured into the service industry which has led him to being the manager of the Peerless Restaurant in Johnson City for several years. He enjoys attending sporting events, and continues to raise cattle on the farm. Rich’s desire is to be a comfort to families in their time of need. Julie has been a resident of Carter County her entire life, until recently when she moved to Johnson City. Julie graduated from East Tennessee State University with a B.A. in Philosophy and a minor in Japanese, which she still takes time to study. In her free time, Julie enjoys hiking, playing music, and reading. When not working with Tetrick Funeral Services, she can be found selling flowers and herbs at Evergreen. Sage is a Johnson City native and a veteran of the U.S. Army. She enjoys studying science, history, and linguistics. Homesteading, gardening, music, and hiking are her passions. Her future plans include owning a homesteaded farm and having a non-profit agricultural education school. Born and raised in Johnson City growing up trying to be a service orientated individual! After graduating from University School, working in Churches, Johnson City Rescue Squad, and other Civic Organizations "I LOVE SEEING A SMILE ON FACES”. With that in mind after working as a machinist at Kennametal for 28 years I decided to return to school to do an Associate Degree in Science, and Cardiovascular Technology from Northeast State. Jeff is a proud member of The National Association of Pharmaceutical Representatives; Phi Theta Kappa International Honor Society Alpha; Sigma Lambda Honor Society; National Honors Society; Society of Invasive Cardiovascular Professionals. Jeff currently attends Bible Baptist where he is involved with several ministries of the church. He is a proud father (and grandfather) of three children Alex Renfro, Christy Burrough, and Jonathan Renfro the proud father of Bracken Carter Renfro. Jeff has enjoyed mission work, big game hunting, scuba diving, and traveling. His goal in LIFE is to be a comfort in the time of need whatever that may be. Lou was born in Tallahassee, Florida, but has been a resident of Johnson City since the age of three. He attended University School and graduated from ETSU with a degree in Criminal Justice. Lou was an employee of the city of Johnson City for 35 years serving during the operation of the Public Safety Officer Program (fire/police) and transitioned to traditional policing. Early in his career he served as a volunteer EMT with the local Rescue Squad and as an assistant Scout Master with the BSA. Lou enjoys fishing, hiking, camping and traveling to unusual places and events with his wife Pat. He is the proud father of twins (Marshall and Nikie) and looks forward to being a grandfather in the near future. Lou volunteers with a local historical railroad organization helping to maintain railcars and giving tours of the Railroad Depot in Jonesborough. Jerissa is married to her husband, Kevin and has three beautiful children, Ketron, Kayson, and Juliane. Jerissa grew up in Unicoi and moved to Johnson City while in elementary school. She is a graduate of ETSU. She also received a graduate degree in Forensic Documentation from ETSU. In her spare time, she enjoys hunting, fishing, kayaking, hiking, and spending time with family and friends. Harold is a native of Fall Branch, Tennessee and is a graduate of North Greene High School. Harold is the son of Carson and Irene Morelock. He is married to Karen Renner Morelock and they have a beautiful daughter Megan Hope and she attends King University. Harold is an ordained Baptist Minister, and is currently Senior Pastor of Cornerstone Fellowship of Fall Branch Church. Harold joined Tetrick JC in March of 2018. In his spare time he enjoys hunting, fishing and spending time with his family. Harold’s desire is to show the Lord’s love to people and be a help to them during a difficult time. Rob was born and raised in Western Pennsylvania and now resides in Gray,TN. He currently serves as the Campus Minister at Crossroads Christian Church in Gray where he has been on the ministry staff since 2002. He is a 1979 graduate of Seneca Valley High School in Harmony, PA and a 1983 graduate of Milligan College. Rob and his wife Theresa met at Milligan and were married the summer before their senior year. They have three grown children including two daughters, Sheri Pharris (husband Adam), Kelly, and a son, Michael. Rob & Theresa also have three grandchildren—Preston, Millie, and Betsy. Rob joined the staff at Tetrick in July of 2014. Summer grew up in Elizabethton, TN. She is a graduate of Hampton High School and Milligan College and has a degree in early childhood development. She is employed by the TN Dept. of Education. Summer is married to Josh Johnson and they have a daughter, Abbie. They are active members of Beck Mountain Baptist Church. They have a farm that they enjoy. Summer enjoys reading, spending time with family, traveling, and crafting. Don Friesland was born in Sullivan County and educated in the Bluff City school system. He retired from Tennessee Eastman after 32 years as a chemical operator. Don serves as a part-time associate for Hathaway-Percy Funeral Home and Tetrick Funeral Home’s Bluff City Chapel. He is married to the former Marie Stanfield and has one daughter. Don and his wife are members of the Chinquapin Grove Baptist Church. Joe Fortune is a native of Carter County and currently lives in Gray, Tennessee. He graduated from Hampton High School and attended East Tennessee State University and is a veteran of the United States Army. Joe attends Grace Fellowship Church in Johnson City and is single. He also works at the auto auction in Fall Branch during the week and for Ed Street Development. Joe works at Tetrick Funeral Home in Elizabethton on the weekends as a part-time funeral assistant. Charlotte Smith is a part-time funeral assistant at Tetrick Funeral Home, Rhododendron Chapel in Roan Mountain, where she also serves as staff organist. She is a life-long resident of Roan Mountain, Tennessee and is married to Jim Smith. Charlotte and Jim are members of Magill Presbyterian Church in Roan Mountain. Jeff Turner is a native of Bluff city and now resides in Elizabethton. He works part-time at both the Elizabethton and Bluff City Chapels of Tetrick Funeral Home. Jeff is a graduate of Sullivan East High School and also attended Tri-Cities State Tech majoring in business. He attends Blessed Redeemer Baptist Church in Bluff City.